Born in New York City, Janet Belsky always wanted to be a writer but was also very interested in people. After receiving her undergraduate degree from the University of Pennsylvania, she deferred to her more practical and people-loving side and got her Ph.D. in clinical psychology at the University of Chicago. Janet spent her thirties in New York City teaching at Lehman College, CUNY, and doing clinical work in hospitals and nursing homes. During this time, she wrote one trade book, Here Tomorrow, Making the Most of Life After 50, got married, adopted a child and, with the publication of the first undergraduate textbook in the psychology of aging, began what turned into a lifelong developmental science textbook writing career. In 1991, Janet moved to Tennessee with her family to write and teach undergraduate courses in psychology at Middle Tennessee State University. After her husband died in 2012, Janet returned to Chicago to construct a new life. 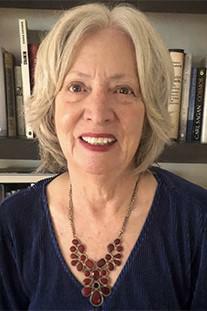 Following her optimally-aging plan to get a rigorous classical education, Janet enrolled in the Master’s Program in Liberal Arts at the University of Chicago (a beginning graduate student again at the U of C, after 45-plus years!). Still, she remains committed to her life passion—exciting readers in the marvelous human lifespan through this book.